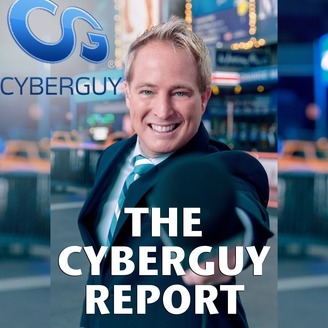 Kurt Knutsson, CyberGuy Award-winning journalist, investor and innovator http://www.cyberguy.com Kurt has a deep love of technology that makes life better. Best known as “Kurt the CyberGuy,” Kurt Knutsson created the largest syndicated tech lifestyle franchise on television. As a trusted source, Kurt’s unique insider access to major tech launches and industry visionaries has helped earn him two Emmy Awards and a Golden Mic. Kurt lives between home in California and NYC where he is also the chief tech contributor on Fox News & Fox Business networks beginning his mornings on Fox & Friends. It has never been easier to rent big ticket items in the most clever of ways. You can rent a world of fun gear from a bike rental, car, RV, grill, yacht, kayak, standup paddle board, on demand photographer, waiter, tiki party and backyard movie night is now at your fingertips. Highlights: 00:53 The experiment that worked 01:37 Joe Fernandez CEO JoyMode took in 16.7M funding for membership based rental program 02:36 Smartest way to rent a scooter complete with helmet and scooter bag for entire weekend 03:33 Not a cook? No problem. How to get a brunch kitchen and serving kit delivered 03:45 How to get a party bundle with everything you need delivered 04:30 Reason there is a market for JoyMode 04:50 What comes in a backyard movie night bundle for $95 for the weekend 05:40 Why my garage is full but should be emptied now 06:44 Why we won’t buy big ticket stuff in the future 07:13 Get My Boat connects boat owners with boat enthusiast all around the world 09:00 How to find the least expensive JetSki and SeaDoo 09:40 Nostalgic 1933 yacht goes for $125/hour 10:30 Meeting interesting people, like RV owner Rick and why he wants to rent it to other fun people 11:22 What’s in it for RV owners at Outdoorsy 11:45 Why an RV turns down an RV rental 12:00 How your kids will want to drop their devices with camping 12:45 What you get in a Mercedes Sprinter RV 14:40 11 1/2 months of the year RV are sitting around Get more details here: http://cyberguy.com/how-to/how-to-rent-your-summer-fun/ - Follow me here: www.cyberguy.com www.facebook.com/cyberguyofficial www.twitter.com/cyberguy www.instagram.com/kurtthecyberguy *** ABOUT CYBERGUY - AMERICA'S TECH AUTHORITY Award-winning journalist, author, investor and innovator Kurt has a deep love of technology that makes life better. Best known as “Kurt the CyberGuy,” Kurt Knutsson created the largest syndicated tech lifestyle franchise on television. As a trusted source, Kurt’s unique insider access to major tech launches and industry visionaries has helped earn him two Emmy Awards and a Golden Mic. Kurt lives between home in California and NYC where he is also the chief tech contributor on Fox News & Fox Business networks beginning his mornings on Fox & Friends. 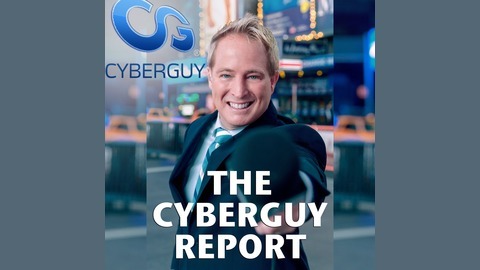 Kurt and his CyberGuy reports focus on consumer technology, innovative people and inventions that are rocking the world.